The Colonnade Hotel is conveniently located in the heart of Boston's Back Bay, near Copley Square, and across from the Prudential Center shops. Just a short drive to the Seaport District, we are proud to be a Sail Boston hotel partner, offering special rates for event attendees. 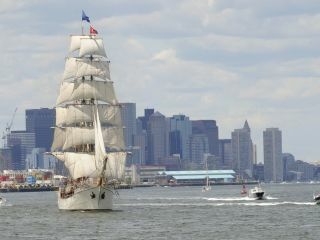 The Sail Boston Festival and the public boarding of ships will take place between Saturday, June 17, 2017, and Wednesday, June 21, 2017.